LOS ANGELES: Here's a list of all the winners of the 61st annual Grammy Awards held at Staples Center in Los Angeles. 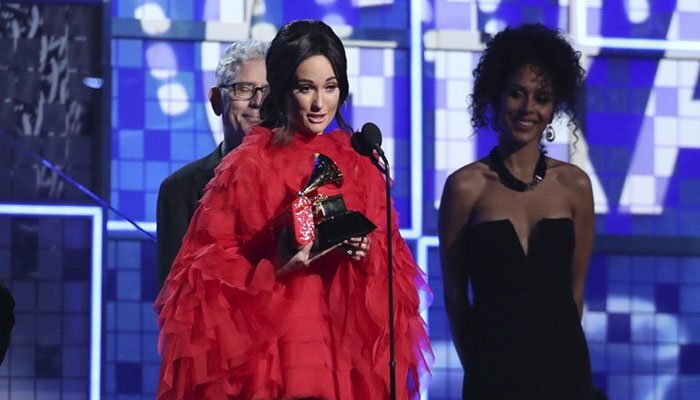 Ian Fitchuk, Kacey Musgraves & Daniel Tashian, producers; Craig Alvin & Shawn Everett, engineers/mixers; Ian Fitchuk, Kacey Musgraves & Daniel Tashian, songwriters; Greg Calbi & Steve Fallone, mastering engineers. Julian Burg, Serban Ghenea, David “Elevator” Greenbaum, John Hanes, Beck Hansen, Greg Kurstin, Florian Lagatta, Cole M.G.N., Alex Pasco, Jesse Shatkin, Darrell Thorp & Cassidy Turbin, engineers; Chris Bellman, Tom Coyne, Emily Lazar & Randy Merrill, mastering engineers (Beck).